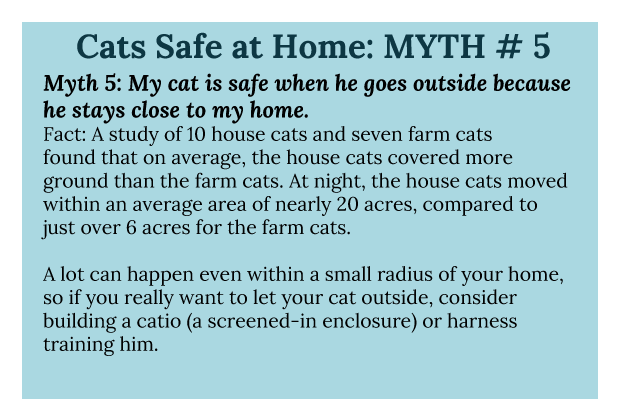 Cats Safe at Home is a collaborative effort to humanely reduce outdoor cats in the Portland metro region. We seek to engage the community with ideas and information that value cats and wildlife. Cats like sunshine and smelling different scents, and they need exercise, too. Fortunately there are many ways they can enjoy these things without putting them at risk. Almost 40 percent of suburban or urban cat owners (and a much larger proportion of rural owners) allow their cats to roam outside unsupervised some of the time. Unfortunately, those cats can easily become lost, or worse, injured or killed by cars, predators, and disease. 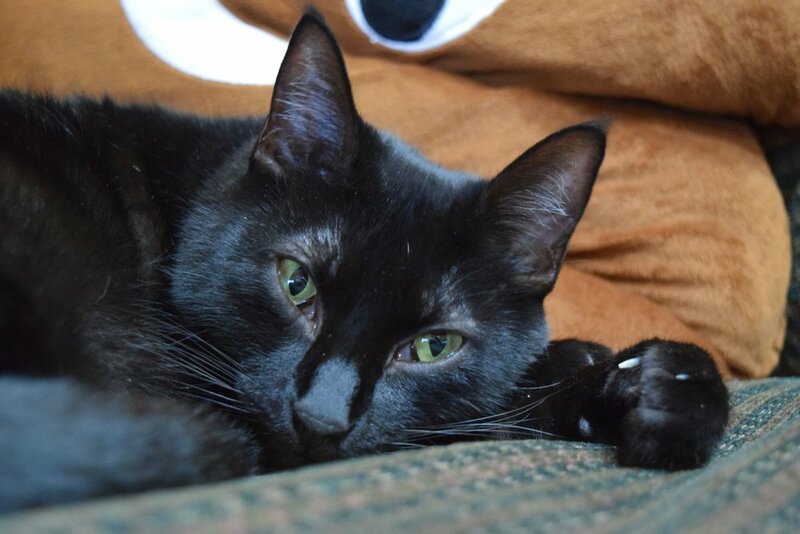 Keeping cats indoors, allowing them only supervised, leashed outdoor access or providing an outdoor cat enclosure (catio), helps to keep them safe while still allowing them access to sunshine and fresh air. There's plenty of exercise options for indoor kitties! Play with your kitty with a laser pointer, cat toy or ball. 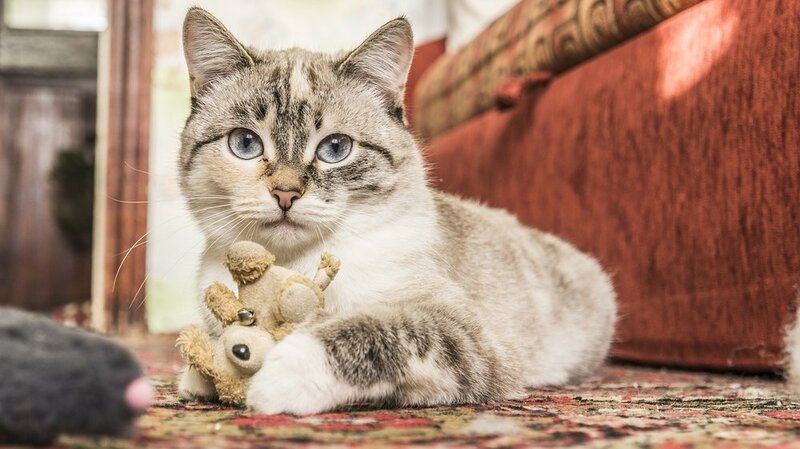 Playtime promotes a cat’s physical and mental health and you'll be amazed at how playtime builds an incredible bond. 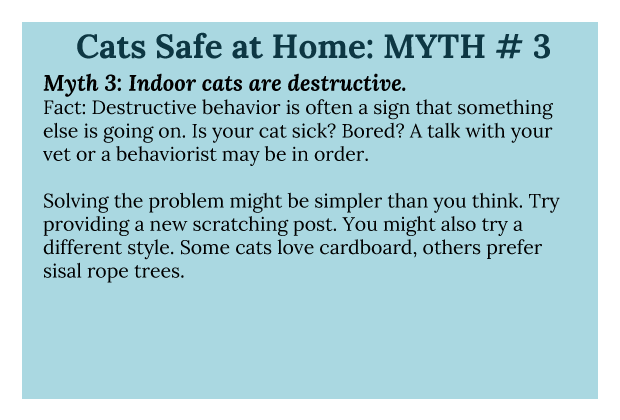 Provide scratching posts, cat trees, and shelves where kitty can climb, perch and rest. Your kitty will thank you. Cat overpopulation is an issue, too. When cats who are not “fixed” go outdoors they produce more kittens. Cats can get pregnant at 5 months old and have 3 litters a year! Cat owners are put in the position of finding homes for the kittens or taking them to shelters. Kittens born on the streets often struggle for food and survival. Cat overpopulation remains a significant problem both in the Portland Metro Area and across the United States. There continues to be more cats born than there are available homes. WE’RE LUCKY TO LIVE IN A PLACE THAT'S HOME TO MORE THAN 200 SPECIES OF BIRDS. Our region invests significant resources to protect all aspects of local wildlife, ranging from our backyard habitats to the coast, mountains, and forests. However, nearly 25% of our bird species have experienced significant declines over the past 40 years. Habitat loss and fragmentation are the primary causes of bird declines, but hazards such as cat predation, window collisions, and pesticides can add significantly to the pressures that wild birds face. Bird conservation organizations such as the Audubon Society of Portland focus the majority of their resources on protecting habitat while additionally addressing secondary causes of bird declines. At Portland Audubon's Wildlife Care Center, nearly 40% of the birds brought in for treatment are cat related. Some examples of cat related bird intake are when birds have been caught, orphaned, or fledglings “rescued” by the public to prevent imminent cat predation. Over the past 20 years, the Center has treated more 20,000 cat-caught animals, representing more than 100 local species. These birds have some of the lowest survival rates of any of the injuries seen at the Center, and it only represents a small sample of what is happening out on the landscape. These are our birds in our neighborhoods — wildlife that our communities are working hard to protect and restore. You can keep cats & wildlife safe!